How to get Iron Man 70.3 Philippines updates via Globe and Touch Mobile? The 6th Ironman 70.3 Philippines will hit Cebu this weekend with over 2500 athletes. In line with the event, you can now easily get real-time updates on the race performance of the participants via Globe or TM phone. The service, which was developed by mobile solutions company Xurpas exclusively for Globe and TM subscribers, requires simple text messaging to track the race times of the athletes. Interested parties only need to text TRI (space) <athlete number> to 2600. Each update costs P2.50 or P20 for eight alerts along the course. 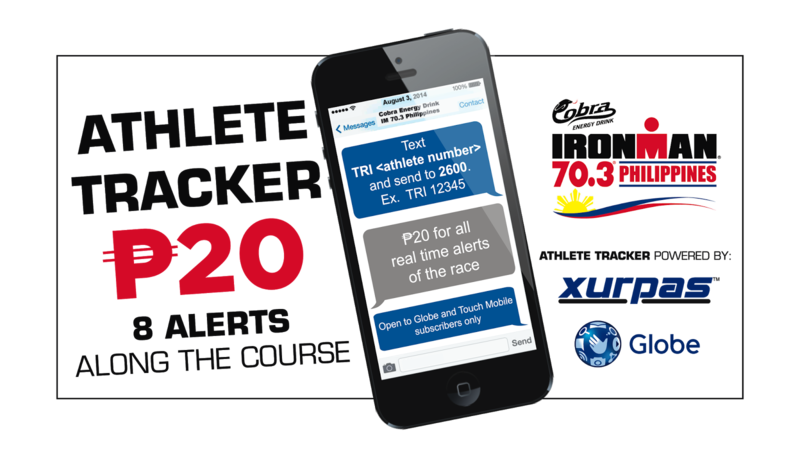 Pinoy Metro Geek: How to get Iron Man 70.3 Philippines updates via Globe and Touch Mobile?